Cuba is once again chosen by the famous. 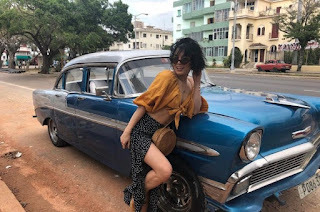 This time the Caribbean island has charmed one of the most popular young actresses in Hollywood, Vanessa Hudgens who was visiting Havana. "Cuba, you have my heart", was one of the messages published by the US artist along with photos of emblematic places of the city. The singer also known for her role in "High School Musical" was on a convertible from the ‘50s in what appeared to be a tour of the famous Havana’s boardwalk. In one of the pictures in front of an old Havana door she foot-printed "Happy place". The photos did not go unnoticed on Instagram, where the well-known actress has about 28 million followers; even the official media of the island echoed the presence of the popular actress although the note published in Cubadebate was not very well received, where the followers of that Cuban digital page shattered the news. Detractors and fans of the show were furious in a debate about the publication of such information. In Cuba, despite the fact that several people want to hear news about celebrities, many people reject this kind of publication in the official media. Elitist people and followers of the old communist precepts are opposed to it because they consider it detrimental to the political and social values of the largest of the Antilles, and superficiality is pondered. But the truth is that Cuba is changing. Since 2014, when the restoration of diplomatic relations between the two nations was announced, a group of celebrities has not overlooked the possibility of visiting the forbidden island. They even enjoyed of some Cuban pleasure such as Havano, rum and the typical food of that country. You can also see them posing in front of the boardwalk or taking a tour in the well-conserved cars of the ‘50s or less, of which the island is a real museum. The truth is that Cuba came out of the ostracism in which it lived for 50 years, product of the blockade and the official reluctance. Since long before the restoration of diplomatic relations, other celebrities visited the island, but the official media never cover it. In fact, it is still curious that Cubans know of these "surprises" when they have left Havana. Cuba's media waits for other media to publish such information and then reflect it on their sites as a confirmation. However, the opening has also occurred in the official media as part of the Cuban campaign to attract American tourists. Since 2014, Cuba has become fashionable and one of the destinations forced to visit in the world especially because of the uniqueness of a contrasting city like Havana but also maybe one of the reasons is to know a country with a political system in danger of extinction. Beyoncé and Jay-Z were among the celebrities who visited the island prior the restoration of relations, causing a stir on the streets of Havana, mainly due to the American diva’s spectacularness and beauty. The “Real Couple” of American music, against all odds, celebrated their fifth marriage anniversary in Cuba and nothing stopped them despite the legal consequences that could bring. Another of the most controversial visits was that one of Paris Hilton. The millionaire celebrity took several pictures of her Havana experience that made think more than one political and economic analyst. The Hilton heiress took a shot of the old hotel founded by her grandfather. Rumor had it, at that time, on possible negotiations between the Hilton’s and the Cuban government to invest in the now deteriorated Tryp Habana Libre Hotel. Although several celebrities have passed through the island to satiate their curiosity and dance the old Cuban music, other great show stars have wanted to left their art in the communist island and please millions of fans. In addition to facing a public totally unknown to them, Fábrica de Arte, a Cuban cultural organization, and renowned stars of the show business have met on multiple occasions to plan and organize cultural projects. The Rolling Stones, their “Satanic Majesties”, have been one of the bands that have played for free for the Cuban people. The show was attended by more than one million people and ended up the América Latina Olé Tour 2016, a milestone in the history of the British band and the island. In as much, film franchises have shown their interest to film in Havana, an interest that has declined due to Trump's restrictions. 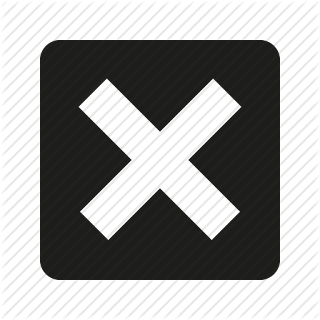 However, Fast and Furious 8 was one of the cinematographic successes that showed the Island. There are still many celebrities to visit Havana. The Cuban capital and the country, in general, is an ideal scenario not only for tourism but also to promote cultural and cinematographic events due to the city’s natural charm and mostly a ductile and friendly population.